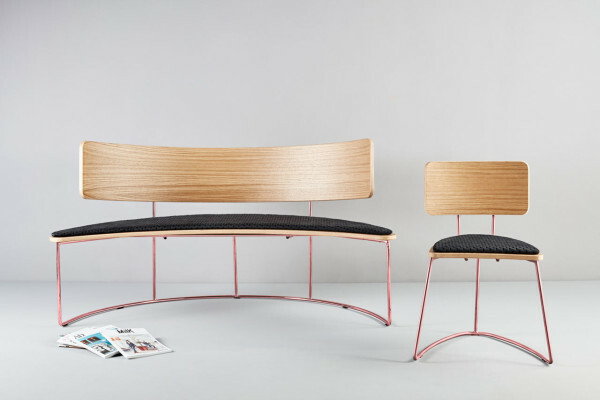 Cardeoli designed a pair of seats for Missana that were inspired by an object of the same name – the boomerang. 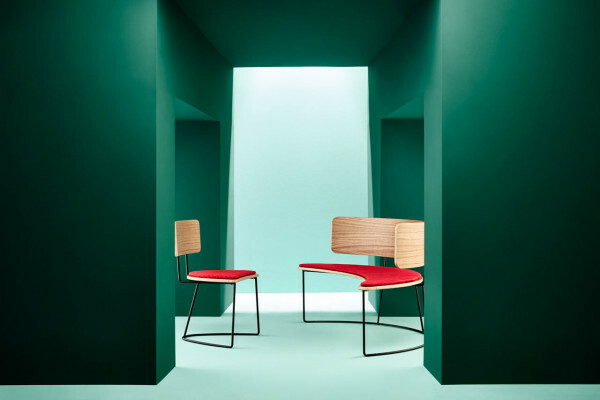 The Boomerang Collection, which includes a bench and a chair, not only shares the same name, it features its curved shape. With a minimalist aesthetic, the seats have architectural silhouettes that give a sculptural feel that could work in any environment. 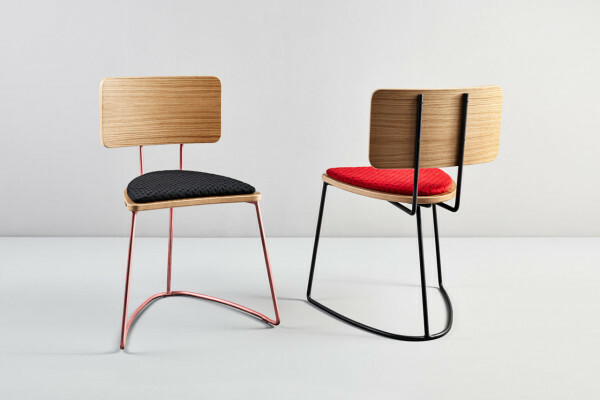 The collection uses high quality materials, like fine oak and beech wood for the seats and back rests, and black lacquered and pink/copper chromed metal for the structures.The seats are upholstered in Febrik’s Stitch fabric in red “Passion” and black “Caviar”.